It is a common annual erect but branched weed (rarely cultivated for its seeds in some pocket areas of Ethiopia), with red leaves, flowers, stalk (smooth) and tassels. Seeds are black and tiny like teff (Eragrostis tef) seeds. The leaves are alternate. The plant grows mostly in cultivated fields including home gardens. Leaves and young shoots are edible. They are boiled and consumed as vegetable and the husk of the seed is also used as food in Konso while the young branches of the stalk are also eaten in South Omo by the Ari people. The plant seeds are also used for preparation of local beverage known as ‘Chaqa’ in Konso. The plant is very common and semi-domesticated on farm fields in Konso and South Omo. Some farmers have started to cultivate and intercrop the species on their farm fields near their homestead. In Konso the species is found intercropped with cotton, maize, sorghum and beans. The leaves of Amaranthus spp. are high in vitamin A content and furthermore, have a high protein content of 27.8%. 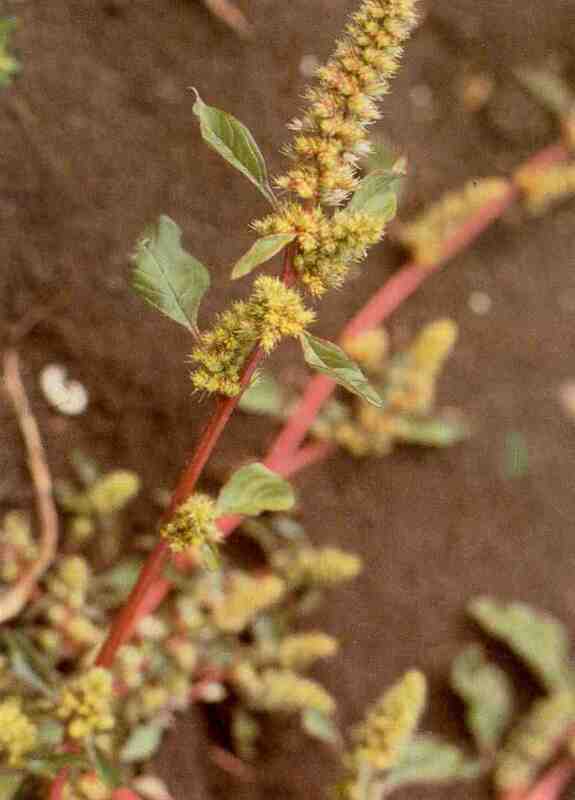 Fresh leaves contain higher quantities of both calcium and phos- phorus than cabbage.Compared to spinach Amaranthus spp. have greater protein, calcium, phosphorus, and iron content. The protein of these vegetables contains approximately 25% lysine, which is absent in some cereals such as maize. 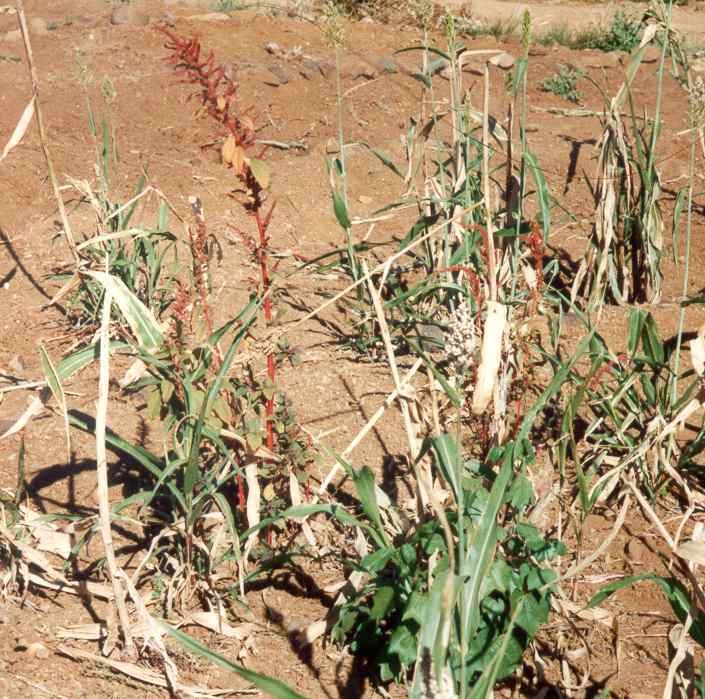 The consumption of these plants together with maize should balance the deficient nutrient. 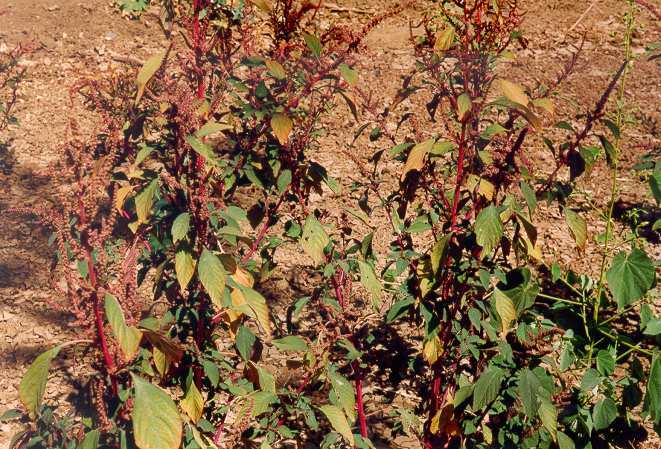 Most Amaranthus species are widespread in tropical and subtropical regions of the world. They mostly grow as a weed of cultivation in degraded land and built-up areas, along rivers, roadsides and forest edges. The species grow in the low- and midlands as well as on higher altitudes (900 – 2,600m) on a wide range of soils, but they are most common in middle and high altitudes (1,400 - 2,400m). There are two species of the weed that are edible. Their main difference is in seed, leaf and stalk color. The first one has white seeds and green leaves and stalk while the other one is with black seeds and reddish leaves and stalk. Amaranthus sp intercropped with cotton, sorhum, maize & beans on a farm field in Shagana village in Konso.